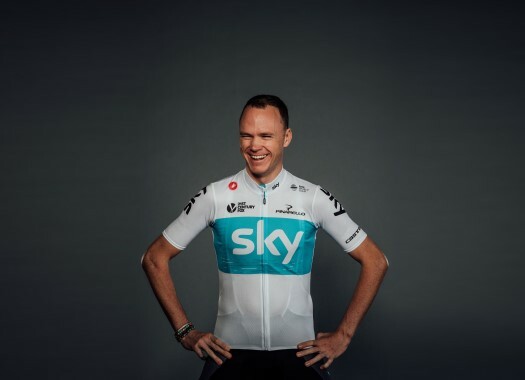 Team Sky's Chris Froome hasn't decided yet his complete calendar for the 2019 season but has hinted that all the focus will be set on taking his fifth Tour de France victory. The British rider is in Colombia to take part in the Giro de Rigo, an exhibition race organized by Rigoberto Uran and in the press conference of the event, Froome talked about the next season. "I haven't decided yet the calendar, but the team will meet up in December and then we will take some decisions," he commented. "It is not a secret that I would love to win a fifth Tour de France, so it is very likely that it will be my objective." Froome left open the possibility of starting at the Colombia Oro y Paz race at the start of 2019. "I haven't thought about it before, but I will make sure to talk about it with my team and we will see if it´s possible." The rider assisted to the press conference with his former teammates Uran and Sergio Henao as well as with his teammate Sebastian Henao, Fernando Gaviria, Alvaro Hodeg (Quick-Step Floors), Julian Cardona and Daniel Martinez (EF Education First). He took the chance to praise the current level of Colombian cycling. "Colombian riders are not only riding at the WorldTour but also winning big races," he commented. "That says a lot about Colombian cycling. "Only by looking at the level of the riders that are here at this table, and some others that are not here, I can see that the level of the sport is extremely high."